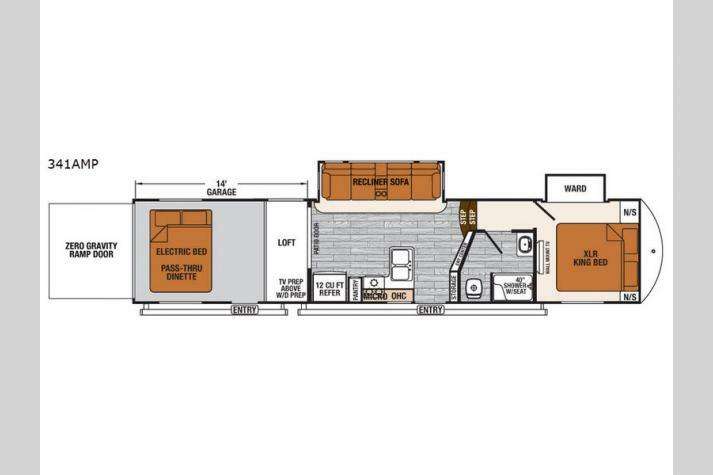 This Forest River XLR Thunderbolt 341AMP fifth wheel offers 14' of cargo space to haul your favorite toys! 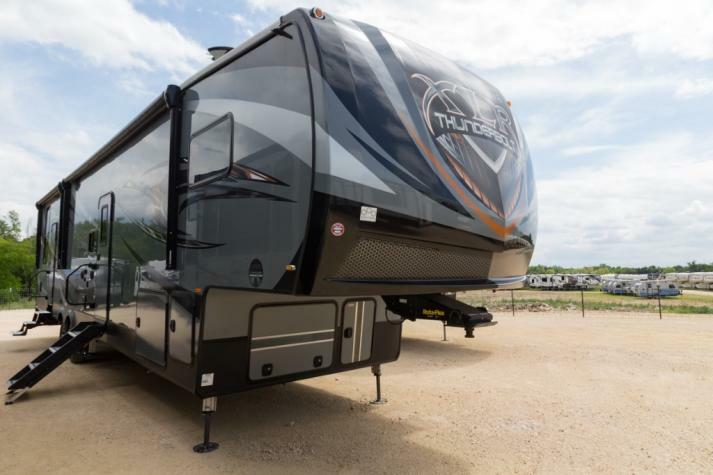 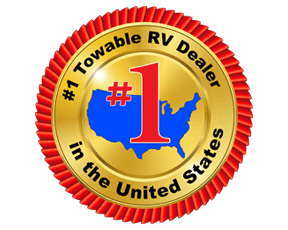 The dual entry doors allows for a smooth flow of traffic in and out of the toy hauler. 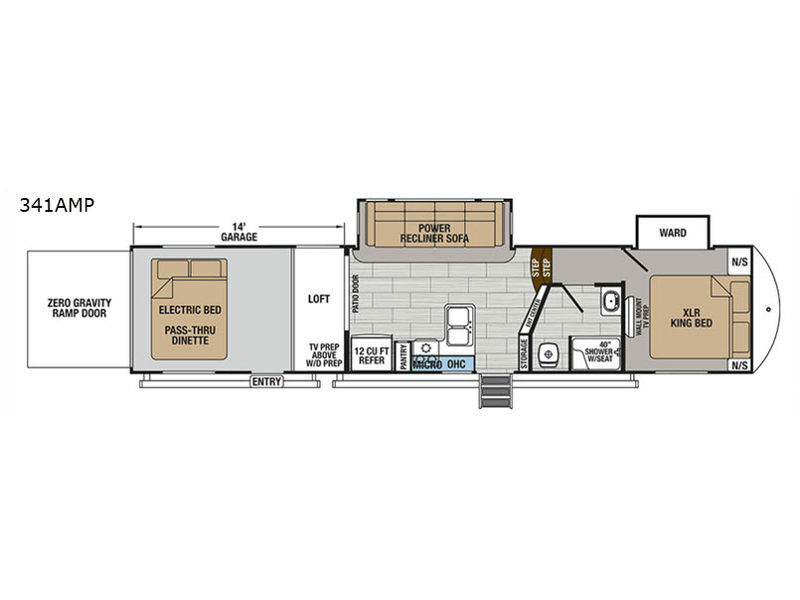 It also features a loft with an electric bed and a pass-through dinette underneath for you to enjoy your meals at. When you're ready to hit the sack, head into the front private bedroom and jump in the king size bed to enjoy a good night's rest!